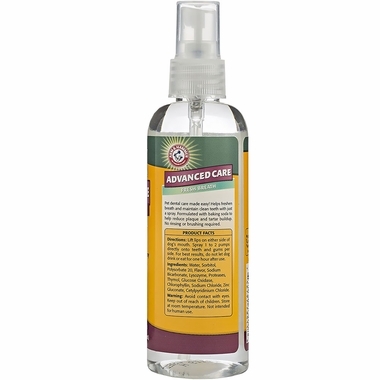 Arm & Hammer Dog Dental Spray utilizes baking soda to clean teeth and leave breath smelling minty fresh. 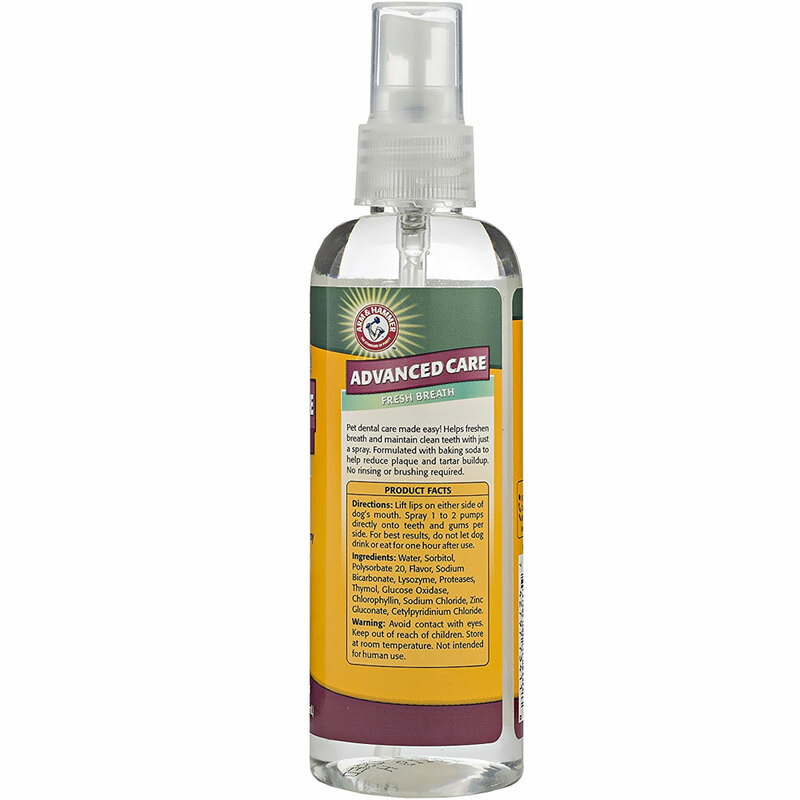 This formula is easy to use and safe for your pet to ingest. Simply lift the lips on either side and spray 1-2 pumps directly onto the teeth and gums. Your dog will have a fresh and bright smile in absolutely no time! Water, Sorbitol, Polysorbate 20, Flavor, Sodium Bicarbonate, Tetrasodium Pyrophosphate, Lysozyme, Proteases, Thymol, Chlorophyllin, Camellia Sinesis Leaf Extract, Sodium Chloride, Zinc Gluconate, Cetylpyridinium Chloride. Lift lips on either side of dog's mouth. 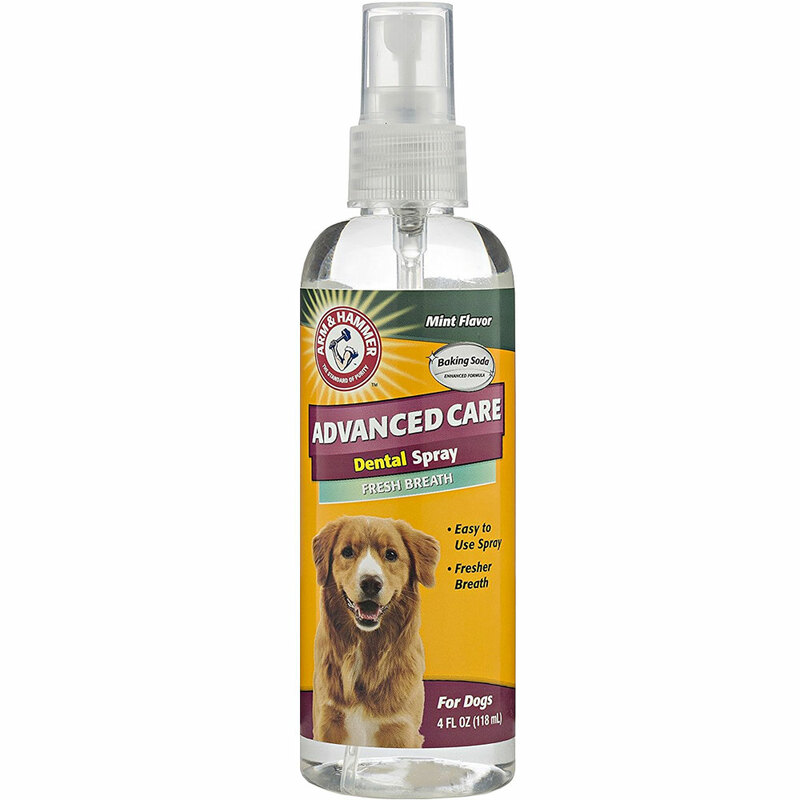 Spray 1 to 2 pumps directly onto teeth and gums per side. For best results, do not let dog drink or eat for one hour after use. Avoid contact with eyes. Keep out of reach of children. Store at room temperature. Not intended for human use.